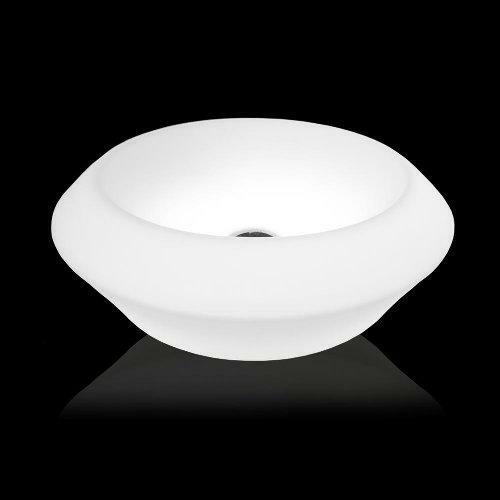 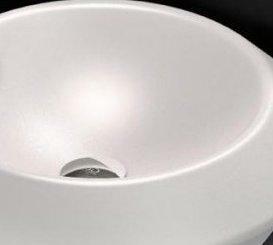 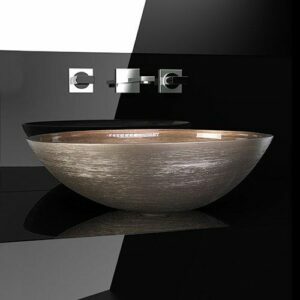 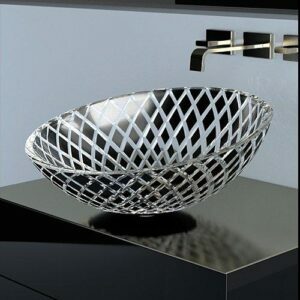 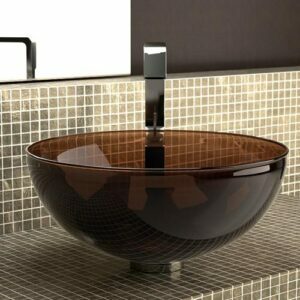 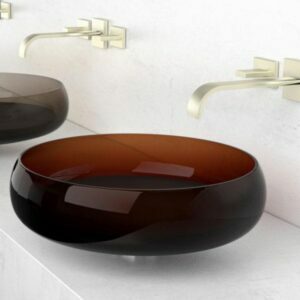 ISOLA SMALL is an exquisite countertop washbasin fashioned from Murano glass in opaline white (satin or gloss finishes) and equipped with LED lighting. 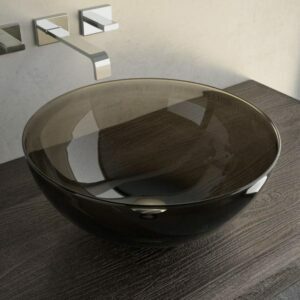 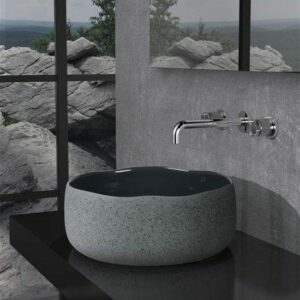 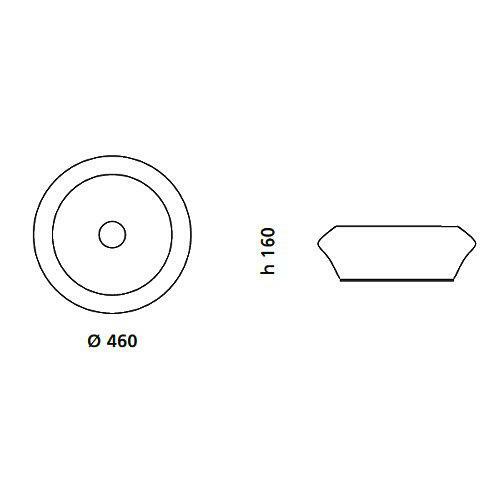 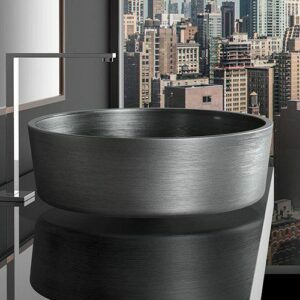 Boasting an elegant circular design, ISOLA SMALL comes equipped with a waste and can be easily integrated into any style of bathroom. 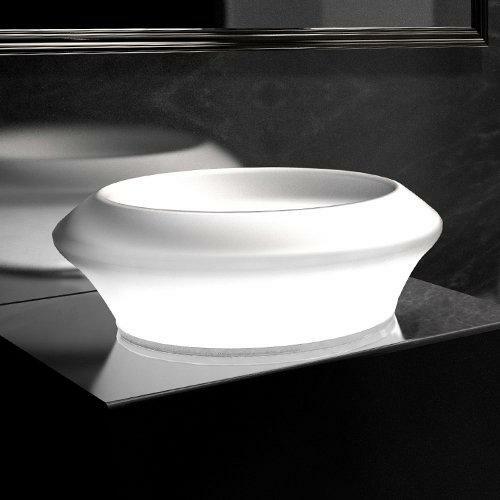 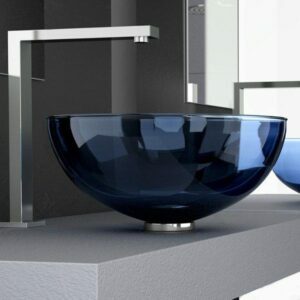 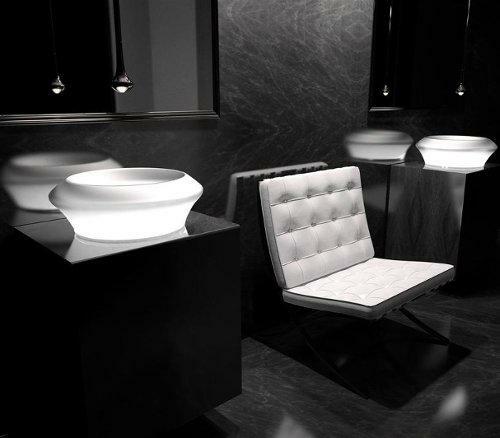 When non-illuminated it is truly beautiful … However, when illuminated, the transformation is breathtaking since the basin becomes an impressive light source thanks to its VetroFreddo® base with integral led lighting.